As the Government launches their new 25 Year Environment Plan and focus begins to be on ‘A Green Future’ I can’t help but wonder, how can we ensure a future for the last of the hedgehogs? This is where I pull on my deerstalker hat, get out my magnifying glass and begin my investigation in hedgehog decline, Sherlock Holmes style. Hedgehogs are special creatures: I love their gentle nature and amusing behaviour, particularly when they curl into a ball to protect themselves. There is still so much to learn about these night time visitors and hearing how people are seeing less and less piqued my natural curiosity and my campaigning passion. That’s why I joined the Hedgehog Street team, so I could use my master’s degree in conservation biology and several years of working in the conservation and animal welfare sector, to investigate hedgehog decline and finally solve the mystery of how to help them. In response to this worrying decline, PTES and British Hedgehog Preservation Society (BHPS) launched the Hedgehog Street campaign, which seeks to conserve this iconic species and empower the British public to help hedgehogs in their own back gardens. 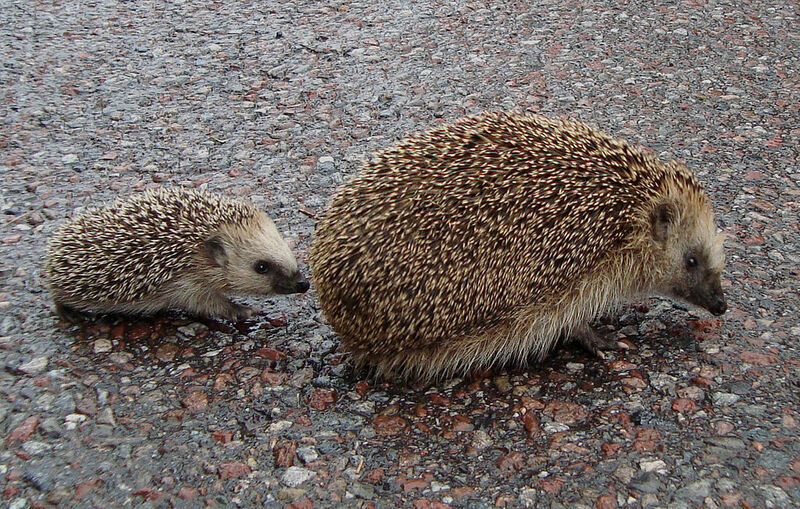 By putting out some food, or linking up your gardens with ‘hedgehog highways’ you can help hedgehogs. PTES and BHPS are also currently commissioning various research projects into the reasons for their decline and measures that could be taken to reverse the effects. “So why are hedgehogs disappearing?” I hear you ask. Well, it’s elementary my dear Watson. Hedgehogs are affected by us and the way we have changed the environment they live. Causes vary from increased human population and development, to climate change and reduced prey availability, and they are different in town and countryside. With approximately 70% of land in the UK managed by farmers, BHPS and PTES are planning to engage with the farming community to help protect this iconic creature. Farmers play a vital role in producing food, but they’re also well placed to help protect, maintain and enhance our countryside. The Government recently reiterated plans to reconfigure Agricultural Policy to reward post-Brexit landowners for delivering environmental benefits. Many farmers already have a sustainable approach to agriculture, and we think there’s a great opportunity to work more widely with them to stem the alarming decline of our country hedgehogs. The good news is that our latest assessment of hedgehog populations suggests that while numbers contine to drop in the countryside, in urban habitats there are the fisrt signs of a halt to decline and even some increase in numbers.